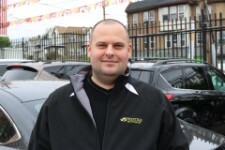 • I am a sales, finance and insurance advisor at Prestige Auto Sales in Philadelphia. Are you in search of a used certified, pre-owned car or truck? We have unbeatable prices and a large inventory for you to explore. Whether you are searching for a domestic car like Cadillac, Ford or Chevy, or a foreign car such as BMW, ME/BE, Nissan, Honda or Volkswagen, we have you covered! We have loyal customers coming to us from all over the area, including Pennsauken, NJ, Wilmington, DE, and more. This is because we continuously offer the best deals around. All of our used cars are certified, and many still have manufactured warranties left on them. We also offer extended vehicle warranties from some of the most reliable companies around. 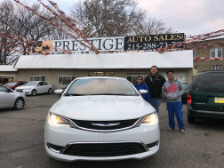 If you are buying the car in Philadelphia, PA planning on driving back to Wilmington, DE, or even Chester, PA, you can get all of what you need right here at dealership. We offer premium financing for your benefit as well as buy here pay here program. With down payments as low as $495 down or no down payment, you will be able to drive a car off the lot back to your home. Think about all of the possibilities that exist for you. Prestige Auto Sales is the dealership that you need to visit. We are the best in the area, call or stop by today and speak to one of my sales associates. • Where is a used car lot near me? This may be the question that you are constantly asking yourself. Continue reading I have an answer for you. We are conveniently located in Philadelphia, and we have customers that visit us from Allentown, PA, Reading, PA, Wilmington, DE, and more every day. We offer a large inventory of quality vehicles, often with manufactured warranties still remaining on. All have been certified by licensed auto mechanics, and we offer on-site financing to make it easy for you to drive home! Shop used Fords, used Chevrolets, used Cadillac, and more. Our inventory is constantly evolving, and we recommend visiting our inventory online. We have photos of all the vehicles, as well as a list of all of the options within each vehicle. We offer incredible financing, often with very little down or no down payment. If you have good credit interest rates can be as low as 2.99%! Our finance department is committed to getting everyone approved, and you have the ability to get preapproved by completing a credit application online! This will allow you to find out how much you are approved for before you ever stepping foot in our dealership. People continuously make the drive in from all over because of our great deals. Testimonials come in from customers all the time, ranging from those in Chester, Pennsauken, Norristown, and more. Stop by or call me 215.288.7379, ask for Bruce B. • Are you looking for best used car dealership in Philadelphia? Look no further! Prestige Auto Sales is one of the premier car dealerships throughout the state. We have people visiting us from Allentown, PA, Wilmington, DE, and Pennsauken, NJ on a regular basis. Financing is made easy at our dealership and that is because we work with all of the top banks. We also offer a buy here pay here option for those with credit situations. If you have good credit, we may be able to offer you some incredible deals, including interest rates as low as 2.99%! Our inventory is always changing. One of the easiest ways to search for cars is to go onto our website and look through the inventory. We have posted photos of the vehicles, pricing, as well as all of the vehicle options in order to make it more convenient for you. All of our vehicles have Carfax report, which is the most trusted source on vehicle histories. 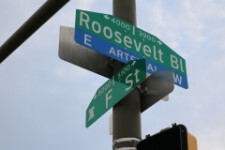 Call or stop by our location today and I can answer more of your questions. When you visit me in person, you can test drive the car to see if it is just right for you! I am a knowledgeable and committed sales associate, and look forward to helping you every step of the way when it comes to finding your certified pre-owned vehicle. Call me today at 215-288-7379 or stop by.